First one is too powerful. a defense of 3000 but only 1 star? 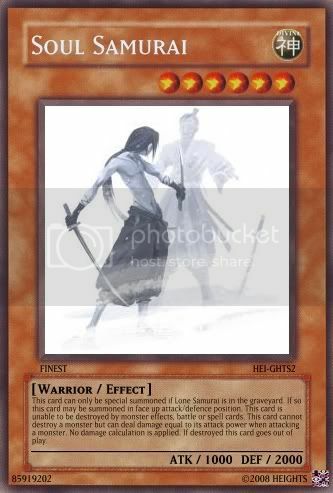 And, you cannot normal summon in face up defense, it has to be face down. 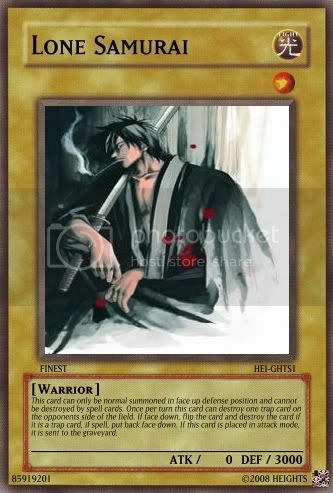 Soul Samurai is confusing, is it like Yubel where it inflicts damage equal to the opponents attack points? 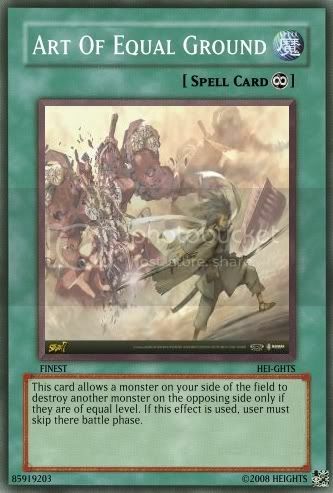 or does it just inflict damage? well for the first I will fix, also for the second I meant it deals its own attack power as damage, so it inflicts 1000 damage. Spells, traps and monster effects to destroy him, and then approved.